A conventional mattress could be making you sick and causing you to wake up with aching joints, shoulders, and sore spots. 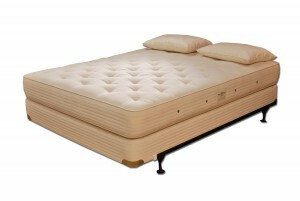 If that is that case, it might be time to consider natural latex or innerspring mattresses, which are known and proven to be better alternatives to typical conventional mattresses.Certain features make The Organic Mattress stores mattresses better than any conventional mattress, and one of these is the fact that it is made of certified organic material like natural latex, wool, and cotton. All certified natural latex and innerspring mattresses are made following the standards recommended by the Global Organic Latex Standard, the USDA’s National Organic Program, and other similar entities. Reputable retailers of organic bedding and mattresses are certified themselves, usually by Green America, and hold memberships at the Organic Trade Association. All these standards and certifications give consumers confidence in the organic products they buy. Likewise, they ensure that you can experience all the benefits associated with using organic materials in bedding and mattresses. The Organic Mattress Stores mattresses that are made of natural and organic wool are naturally flame retardant, hypoallergenic, and capable of regulating your body temperature as you sleep, so it does not feel too hot or too cold. They offer a luxurious feel, too, especially when they are made with 100% certified organic cotton. Natural latex from Malaysia and Sri Lanka lets air circulate around and thru the mattress to prevent moisture or body perspiration from accumulating within, causing mildew and fungal growth. The material follows the contours of your body, providing excellent support to prevent backaches and sore joints. This quality may be present in conventional memory foam, but this time, you do not have to worry about the toxic chemicals and pesticides that may be present in synthetic memory foam.